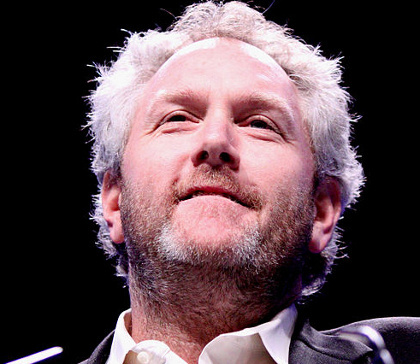 Conservative media activist Andrew Breitbart died March 1 of "heart failure and hypertrophic cardiomyopathy with focal coronary atherosclerosis," the Los Angeles Coroner's Office revealed Friday afternoon. "No prescription or illicit drugs were detected," the office announced in a press release. Breitbart had spent two hours that evening at the Brentwood Restaurant in LA's Brentwood district and had drunk some alcohol but "he wasn't drinking excessively," Arthur Sando, a marketing executive he met there for the first time that night, said in an account to Hollywood Reporter. The coroner's office said Breitbart's blood alcohol content was .04 percent. He was pronounced dead at UCLA Medical Center at 12:19 a.m. March 1 after being seen by witnesses collapsing on a public street. Media reports have conflicted about where Breitbart was when he was stricken. After leaving the restaurant sometime around 11:30 p.m. on Feb. 29, Breitbart crossed the street and fell down in front of the Starbucks coffee shop in the vicinity of 148 S. Barrington Avenue. Paul Huebl, a detective and former Chicago police officer, wrote on his crime news blog March 2 that he went to the scene and interviewed an eyewitness who had seen Breitbart collapse. The man, Christopher Lasseter, told him he was walking his dog after midnight when he saw Breitbart cross the street. Huebl wrote, "Once Breitbart stepped up on the curb, as Lasseter put it, 'He fell hard like a sack of potatoes.'" Huebl wrote that he sold video of his interview with Lasseter to TMZ.Com. The photos he published on his blog match the location confirmed by the coroner's office as the place that Breitbart collapsed. "I know Christopher was actually there because I asked him to describe Breitbart's clothing and he did so accurately down to his Converse tennis shoes," Huebl told me Friday in an email. "Christopher did not seem to know who Breitbart was other than that he was somebody who seemed important because of the media attention." Though Huebl and others have speculated that Breitbart could have been murdered, the coroner's office dismissed the notion. "No significant trauma was present and foul play is not suspected," it stated in the press release. A final coroner's report will be available within two weeks. It's been 7 years now.